You must buy a minimum of 12 and in additional increments of 6 due to manufacturer packaging. 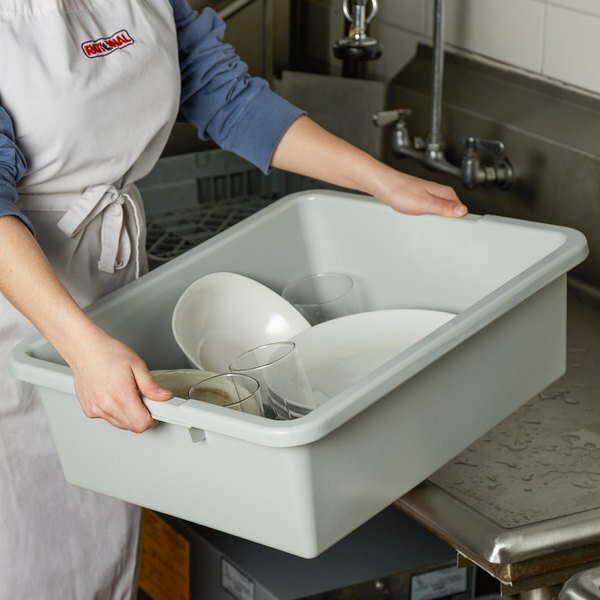 This Tablecraft 1557G heavy duty bus box is an efficient and durable solution for cleaning flatware and collecting dishes. 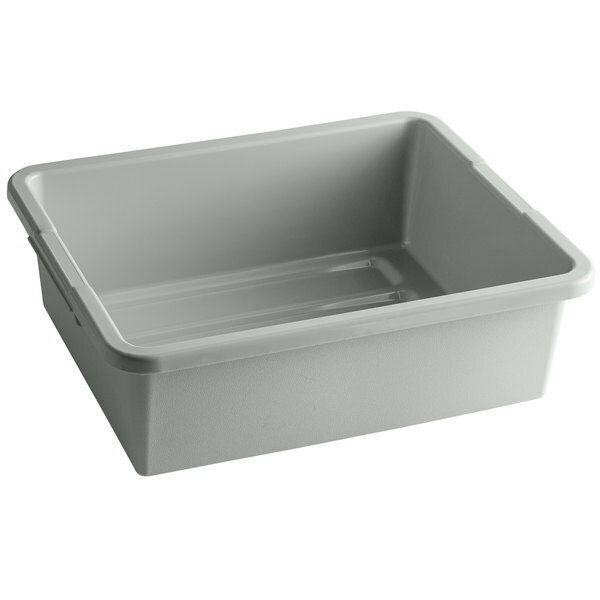 Made of high density polyethylene, this bus box is built to last. Its classic design in gray is easy to clean and sports reinforced handles for easy transporting. Featuring a pebbled exterior finish, it is stackable, great for storage, and has FDA approved material. A great addition to your cafeteria or restaurant! Have being looking for these kinds of bus tub for months. These ones I received from webstaurantstore are the best quality so far. Will recommend to any commercial business.